Many of the thousands of people who descended on Salmon Holes this Easter were ignoring basic safety precautions, authorities say. University of Western Australia researchers conducted a survey over four days asking visitors about age, nationality, language and environmental and safety issues. Randall Jasper said of the roughly 250 people surveyed, many understood issues about rubbish and the environment but safety was not prominent in responses. … while many visitors brought ropes to tie themselves into anchors, very few took up the offer to borrow a free lifejacket. According to initial results, most visitors had come from Perth and about 80 per cent listed their country of origin as one on the Asian continent. Authorities were concerned about the volume of rubbish brought by last year’s estimated 3,000 to 4,000 visitors. 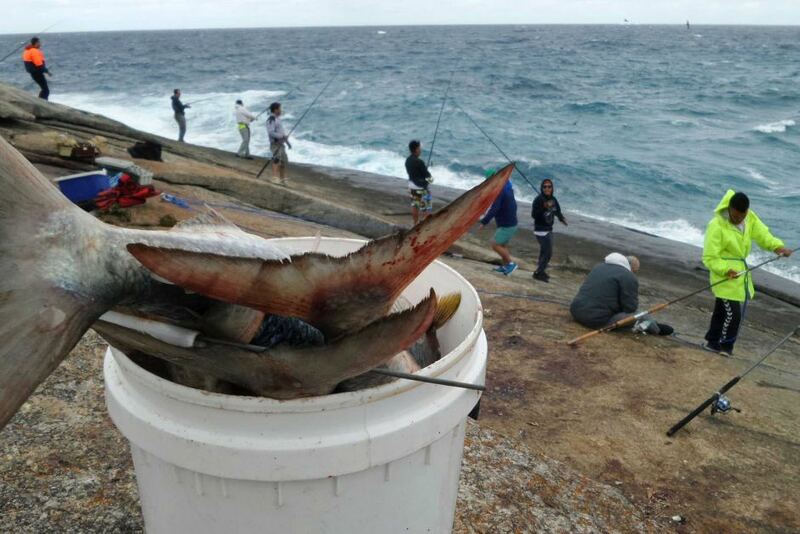 Last year was marred by scuffles as people fought for parking and fishing spots, while park rangers were forced to clean up rubbish, human waste and hundreds of fish heads left to rot on the beach. Too bad! Let them drown! Or let them save themselves. Why should anyone risk his life to save these mostly Asian, stupid people? On the same theme, all the poaching in Africa which is driving the wildlife to near extinction is because of the STUPID demand from CHINESE men for aphrodisiacs and so-called Chinese medicines. If the CHINESE didn’t create the demand for rhino horns and elephant tusks and bear bile and so on, there would not be a problem of poaching wildlife in Africa. CHINA! Cease and desist! And the Japanese killing whales and dolphins. And the mostly Asian trawlers running nets which scoop up and kill ALL fish and sea life from huge areas of the oceans, causing mass fish extinctions. And the demand from CHINA for shark fins, causing mass cruelty by cutting off the fin and leaving the shark to die. CHINA, STOP IT! CEASE! I thought I was going to be proven wrong this Easter, but no, at about 4.45pm there was a really heavy shower here for a few minutes. It ALWAYS rains at Easter.